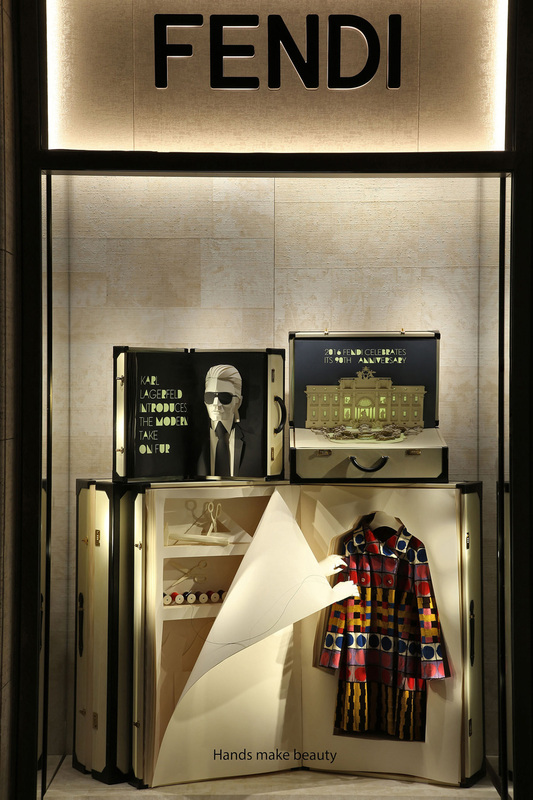 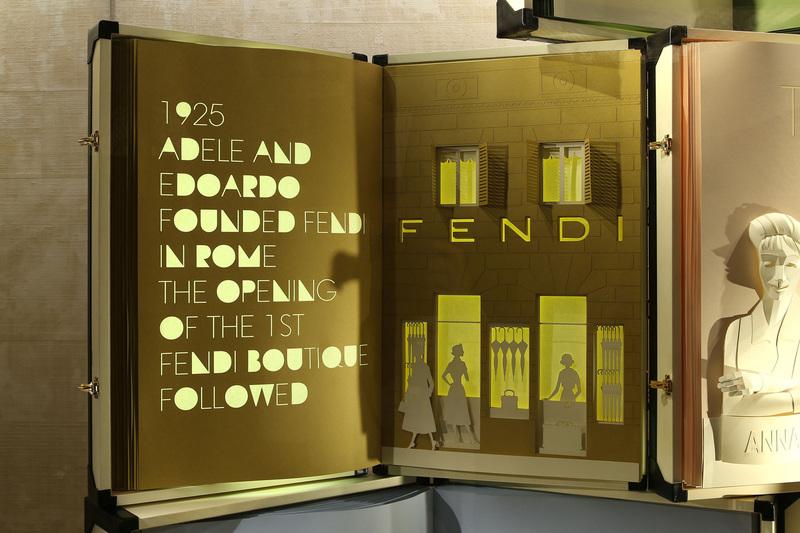 For the inauguration of the store in Rome in the historical Palazzo Fendi we celebrated the history of the brand through the windows. 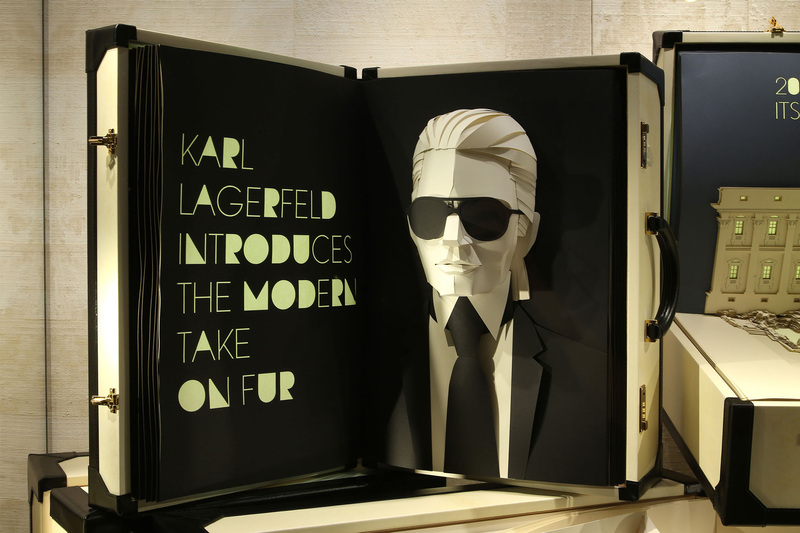 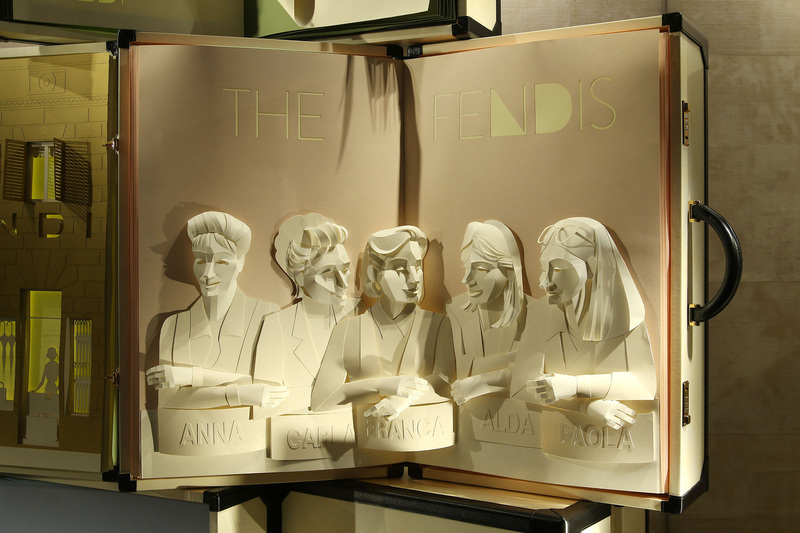 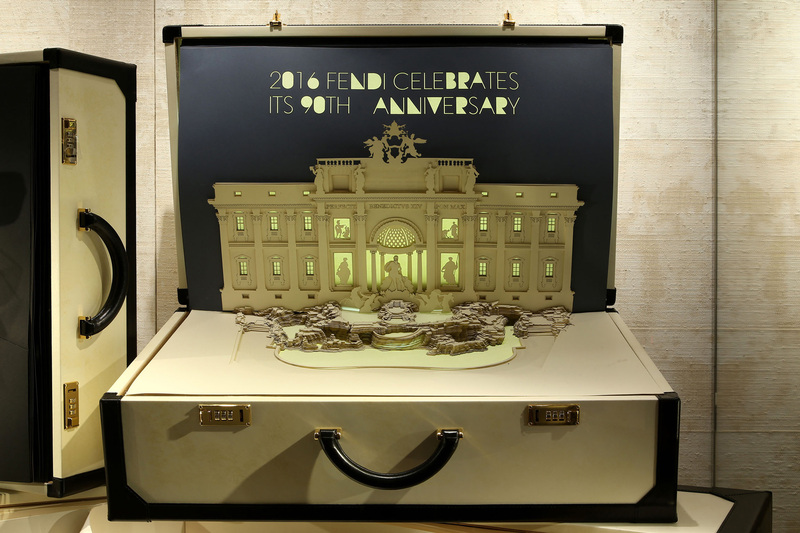 Two of them were made of a composition of the iconic Fendi suitcases which became the covers of giant books and paper craft techniques were used to illustrate the stories. 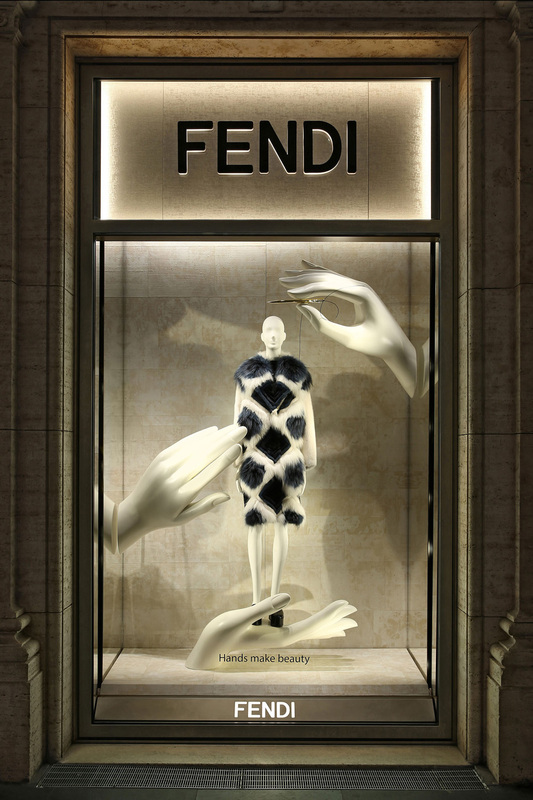 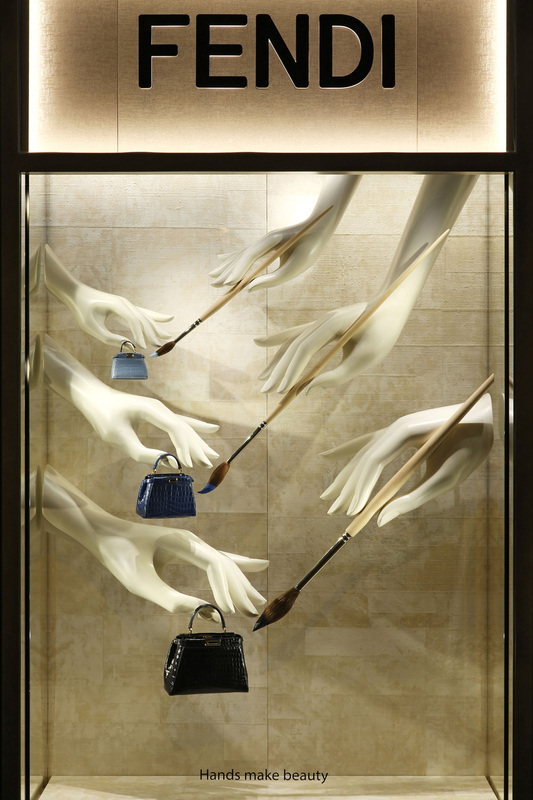 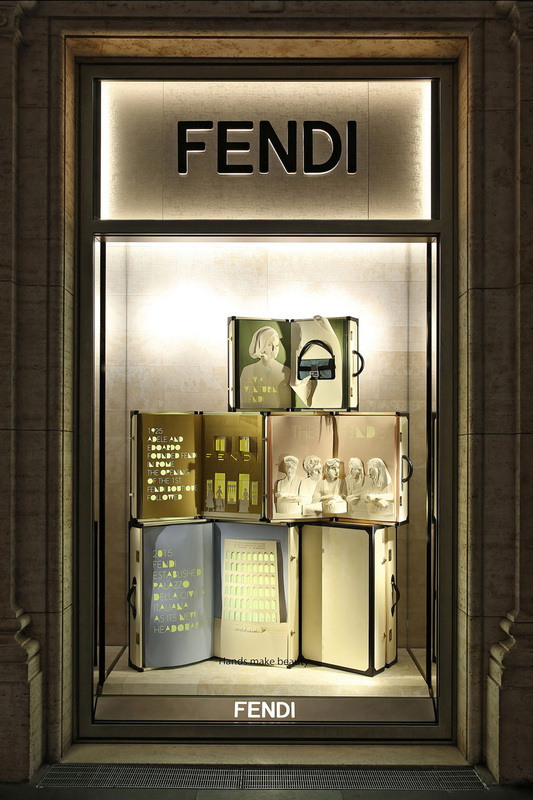 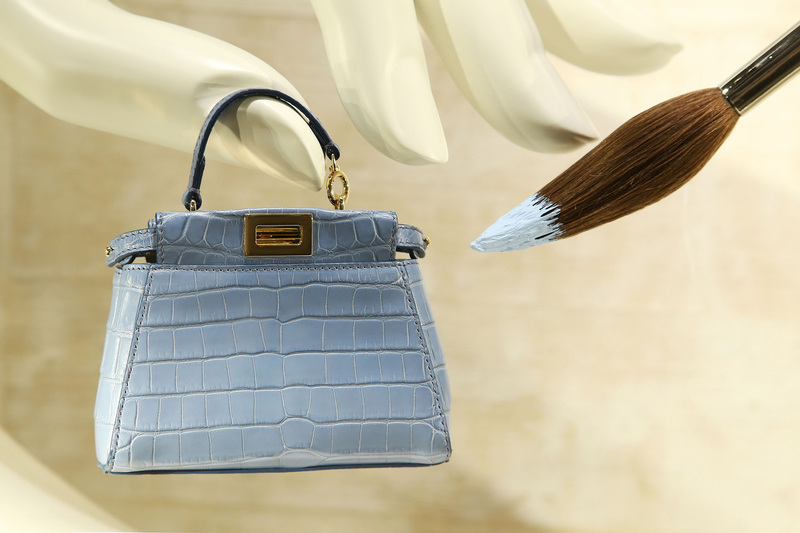 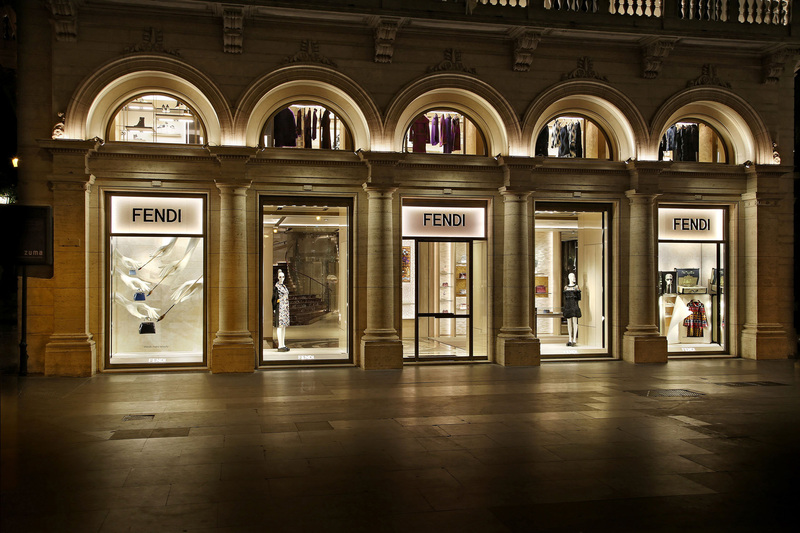 in the other windows giant elegant sculpted hands crafted Fendi products alluding to the painstaking attention to detail and craftsmanship that is synonymous with the brand.